English Touring Opera is a good barometer for the state of British opera. 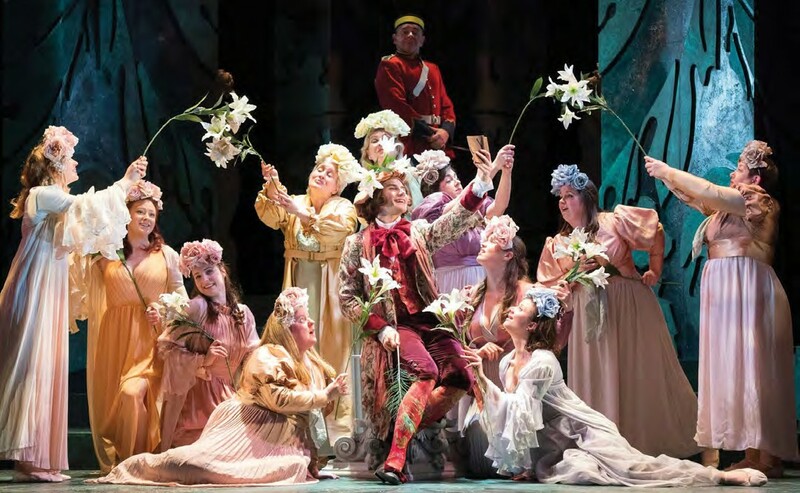 One of few companies to take fully staged, properly rehearsed productions to the provinces, its twice yearly tours have huge importance, if only to keep the very idea of opera alive outside London, Cardiff and Leeds. The company is increasingly becoming England’s national company as the official one withers away. 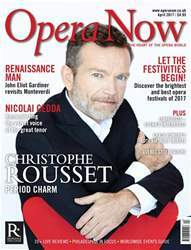 Christophe Rousset celebrates a quarter century at the forefront of the Early Music scene with Les Talens Lyriques; Sir John Eliot Gardiner takes Monteverdi’s three surviving operas on tour around the world; and our guide to the brightest and best opera festivals of 2017. Plus, remembering the velvet voice of Swedish tenor Nicolai Gedda; individuality and imagination in the songs of Arthur Sullivan; Debussy’s ravishing Pelléas lets down its hair at Garsington; American baritone Scott Hendricks shares his love of playing bad boys; the art of the librettist; British conductor Nicholas Chalmers; and an 80th birthday tribute to Grace Bumbry.